Take care of your body...and it will serve you well. ​If you're in pain, training for a marathon or simply need to relax, you've come to the right place. Here's why we say that. 1. We have close to 50 years of massage experience between 4 therapists in our Phoenixville office. 3. We stay current on the latest massage information as it relates to pain, sports, fitness, health and wellness. By the way, here are some resources that we've put together for you. If you're looking for more information on massage in general, check out our ​massage advice page. For anyone training for an event or who likes to workout, we have some self-massage videos on our runner's blog. 4. We're fundamentally different than massage spas, like Massage Envy and Hand & Stone. Their massages are 50 minutes. They schedule massages 10 minutes apart. We schedule massages 15 minutes apart. 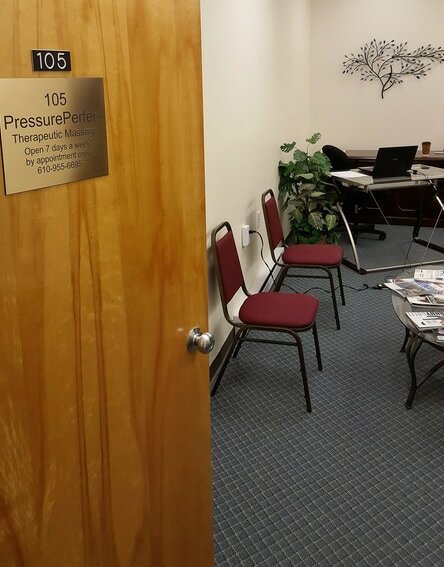 They charge for deep pressure. You'll need to sign a membership contract to get a fair price with them. And we have a no tipping policy. The price of our massage is your out-the-door cost. Call us old-fashioned, but we believe in doing the best job we can AND treating our clients as clients, not as numbers. We'd love for you to come try us out. If we don't pick up, please leave a message. We'll get back to you when we have a break in between clients. Click below to purchase and print out or email a gift certificate. $75 for 60 min (The person has been to us before). $150 for two 60 min. P.S. Below is a massage tool that you can make for less than $5.​ It's great for massaging shoulders.